Congratulations on taking the first step of an amazing journey of learning ,where being motivated and inspired are some of the feelings you will encounter as you see, hear and experience NLP, Time Line Therapy, Hypnosis and many other skills when attending one of my training sessions. All of your new skills can be utilised to enrich your working and personal life, as well as the lives of those you inter-react with. 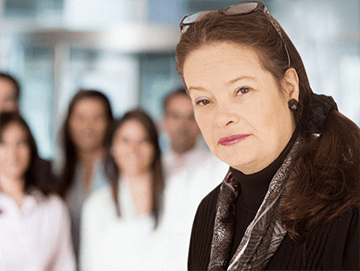 Offering courses for personal and corporate development this innovative training blends the academics/detail with hands on practice sessions in order to get the results you want, and ultimately leading to certification for the course you have attended. Courses are designed to be purposeful with layered learning built around the premise that ‘Time is Precious’. With that in mind I offer innovative training programmes that never compromises the syllabus despite the learning process being simple, effortless and fun. What makes training with NLP West Midlands different? Simply put, you will feel at ease from the moment you arrive because your learning experience will be an organic one in so much as it will deliver all that is needed on a kinaesthetic, visual and auditory perspective to support your learning , yet at the same time there will be challenging moments to assist you to be better equipped when it comes to goals and/or confrontational situations. And yes everything will be covered in detail until you understand and demonstrate proficiency in the relevant topics. My ethos regarding training is it should always be bespoke because we are all different, therefore to be an effective trainer I believe one needs to be able step into a student’s shoes to understand their needs with regards to learning and goals. In essence you need to be able feel, hear and see their world through your own eyes to deliver the best training for that person. I took my nlp practitioner and master practitioner training many many years ago, though I did feel somewhat limited because I wanted to study TimeLine Therapy as well as Hypnotherapy , Personal Development, Coaching and Values. There was no doubt that what I had was a good foundation, but to truly advance I needed to study where the time spent in a classroom still played a big part in the true ‘hands on’ learning process. It was time to say goodbye to ‘quick’ courses because to be truly proficient required in-depth knowledge. as well as being nurtured to confidently leave my comfort zone and evolve into a more capable and knowledgeable person before setting out to trainer others. I guess I had to’ walk the walk’ before I was willing to ‘ talk the talk’. Now that I have done that I am forever thrilled about teaching others, and because your time is so precious my training is constructed around a mix of organic academic criteria, as well as being very hands on and innovative. In essence you learn both consciously and unconsciously on an enriched ecological basis, where content is never compromised. You will find the training sessions relaxed, easy, effortless and fun so much so that the only requirement asked of you is a willingness to learn. So enjoy reading what training courses are available for you. Simply put, we give you the knowledge and skills for you to enhance your personal and working life. Trainings are innovative, while balancing the ecology of academic and organic learning. You will be learning both consciously & unconsciously in a relaxed environment, where fun and learning go hand in hand without compromising the core syllabus. As dedicated trainers, being proactive with regards to obtaining new information is essential. That’s why when you choose training with “nlp west midlands” you can rest assured the training will be both up to date and cutting edge – offering value and benefit to you our student. General Course Dates: are available for individuals (who will make up a mixed group) on set dates – as seen on the calendar. Specific Course Dates Marked as ‘Reserved’: are for Companies (with a set amount of attendees) and 1-2-1 bookings and are for a limited time only on a first come basis. For enquiries regarding these types of bookings, you will need to contact us directly. Courses are perfect for your CPD (Continuing Professional Development) if you work in the Health Sector such as the NHS, Education and/or Business. 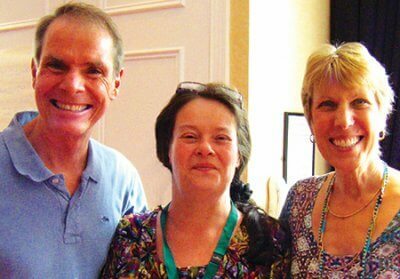 Principle trainer (Gilly) seen alongside Robert Dilts & Deborah Bacon-Dilts last year. Because we appreciate that as individuals, it’s very easy to become overloaded by the pressures of modern day living. Yet at the same time we know – when people change their mindset to “Whatever It Takes” – great things happen. In essence we believe our training course (s) offer both value and benefit to all attendees. So why not join us and see how doing things differently can benefit you and others in both your personal and working life. Evolve, become empowered, get the edge and make this year the year you do something amazing. If you work in the Health Sector and/or Public Sector our courses will take your CPD to a new level. Why not speak to principle trainer Gilly about booking your place on the next course or simply book on line today. When you feel you are ready to join us on an exciting journey, I will look forward to hearing from you. Looking forward to welcoming you on your chosen course(s)!